At 12:14 hours on the afternoon of August 19th the Baldwin Fire Department was alerted to a reported car versus house at 3257 Milburn Avenue just off of Lydia Place. Baldwin Medic Car 2010C was among the first fire department units on scene and confirmed the car into the house along with the rupture of a gas line to the home. Baldwin Engine 202 was the first engine on scene and went on to stretch one line. First responders were able to move the auto away from the home enough that once on scene National Grid could secure the broken gas line. Once the line was shut off safely a signal twelve was transmitted by Baldwin command. 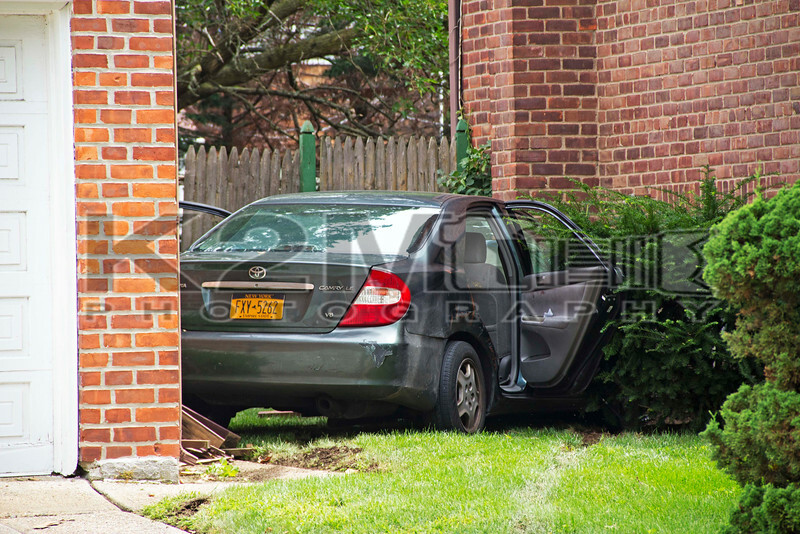 A member of Nassau County ESU was able to back the car from between the houses and park it in the street. The car was the only auto in the accident and it ended up between 3257 and 3263 Milburn Avenue with 3263 having the broken gas line. Inside the Toyota sedan were three occupants. Of the three occupants one was transported by NCPD Ambulance 2351 with a head injury while the other two passengers were evaluated on scene. All fire department units were under the command of Baldwin Chief of Department Brancato . Freeport Engine 211 and Tiller 218 along with an Oceanside engine and ambulance helped to provide standby for Baldwin during the operation.